Taylor Swift got nothing on the Westeros crew. 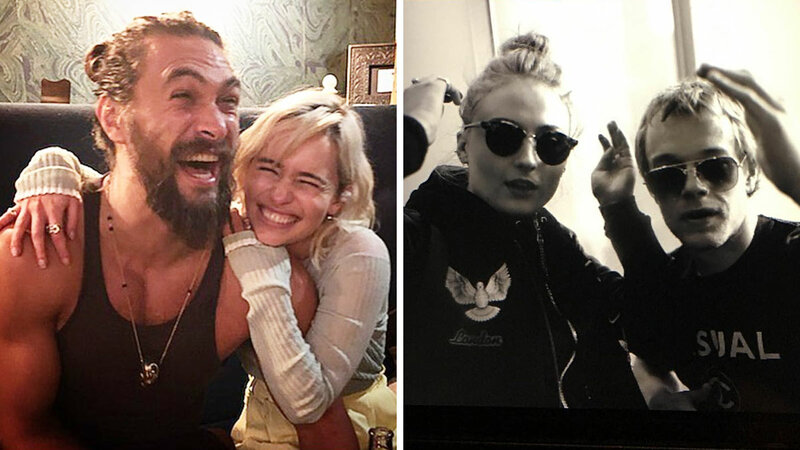 When the sun, stars, and moon of our life aligned again (aka Emilia Clarke and Jason Momoa had a wild crazy time together like in the old days when Dany used to eat horse hearts and Drogo wore bells in his hair). When Kit Harington and Richard Madden proved they were brothers in real life as well as in Winterfell. Well half-brothers, really. When Dany and Jon Snow took some time out from being related and doing rude things to wear glasses and leather gloves. When Arya and Gilly took some time out from Westeros to hang out with Harry Potter at a comic convention. When Pedro Pascal (Oberyn), Maisie Williams (Arya), Sophie Turner (Sansa), and Natalie Dormer (Margaery) formed a Destiny's Child tribute band and shot the cover of their album. When Kit dug out his SLR and took some arty hipster pics of Sophie and Alfie Allen. When The Mountain tricked us into thinking he had gouged Oberyn Martell's eyes out and then they revealed their prank. You guys! When Finn Jones (Loras), Nikolaj Coster-Waldau (Jaime), Kit (Jon Snow), and Roger Ashton-Griffiths (Mace Tyrell) acted like gentlemen. When Pedro and George R. R. Martin enjoyed some delicious sangria together. When Hodor changed his hairstyle and wore a green anorak to the world premiere of season six. When Loras was so hungry from his time in the dungeons at the Red Keep that he had to eat Brienne off Tarth's leg. And, of course, when Hodor got a bit Hodored out and decided to hang out with Chewbacca instead.